The purpose of the Central Magnet School Parent Teacher Organization is to support and enhance the education of the students at CMS by fostering relationships between students, families, staff, and our community. We organize services and contribute funds to special projects and/or extra-curricular activities for the betterment of the education of our students. Our goal is to assist in providing needed resources for the teachers and students to enhance the educational experience. 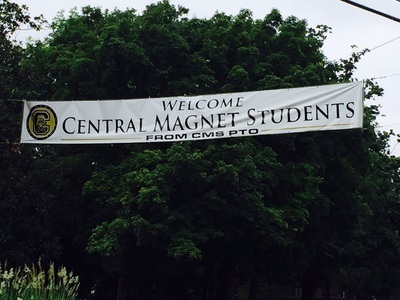 All Central Magnet parents, guardians, administrators, and teachers are members of the CMS PTO.